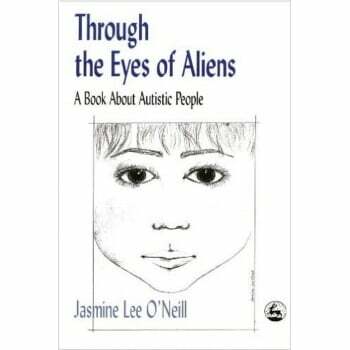 Through the Eyes of Aliens Book - A Book about Autistic People Author Jasmine Lee O�Neill Binding: paperback This is a rich and positive description of how it feels to be autistic and how friends, family and the professionals that work with autistic people can be more sensitive to their needs. Jasmine Lee O�Neill, autistic herself, perceives the creativity, imagination and keenly-felt sensory world of the autistic person as gifts. She argues that normalizing autistic people - pushing them into behaving in a way that is alien to their true natures - is not just ineffective but wrong. In this vivid and enjoyable book, she challenges the reader to accept their difference and to celebrate their uniqueness. The book contains a wealth of insight into the autistic world and the author covers all the main topics of most concern for people with autism. She identifies the reasons for particular characteristic behaviour and is both clear and sensitive about whether, and if how so, the autistic person should be encouraged to adapt such behaviours. Drawn from her own experience, she has many suggestions for ways in which the normal world can shape itself to work around the behavioural characteristics of autistic people. Her book is for anyone who is interested in learning more about autism, including families and friends of autistic people, doctors and therapists, and all those who work with them. It will also prove a source of inspiration to autistic people themselves.